We all need to print documents, invoices, marketing materials, contracts, etc. Just because it’s easy to acquire a printer, doesn’t mean that it’s easy to find the right printer for your business. Standard Office Systems proudly offers award-winning, high-performance black & white and color laser printers from Kyocera, Canon, Sharp and HP with a full range of speed and capacity. Our printer line delivers one of the lowest total costs of ownership (TCO) and provides toner costs that are substantially less than those of the competition. 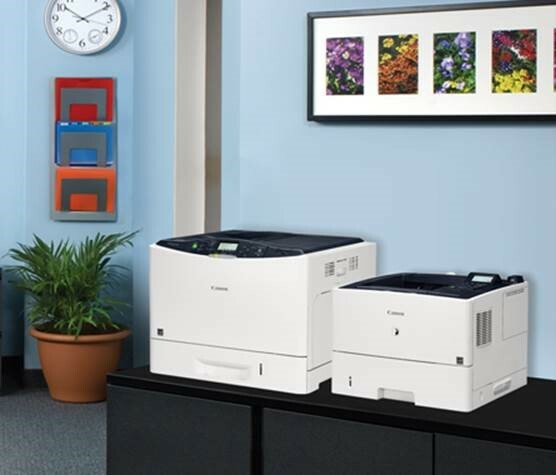 Standard Office Systems provides printer solutions for all types of environments–from small workgroups to large-scale enterprises. For large printer fleets requirements engage with us for a free Print Assessment. Through our PrintVantage Program we will collect and analyze data for all your Multifunction Copiers, b&w printers,and color laser printers to understand total costs, as well as establish baseline values and industry benchmarking. We will determine complete cost, volume, performance, and utilization data at each device for future right sizing. With this data we will continue to make the best choice when selecting strategies to optimize your current and future environment. We will continue to provide a true picture of costs, eliminate effort in subsequent steps when choosing the correct strategy on an ongoing basis, significantly reducing costs year over year. We will continue to monitor and report on accurate user behavior with the implementation of rules based printing. Standard Office Systems has the right strategic initiative right from the start.